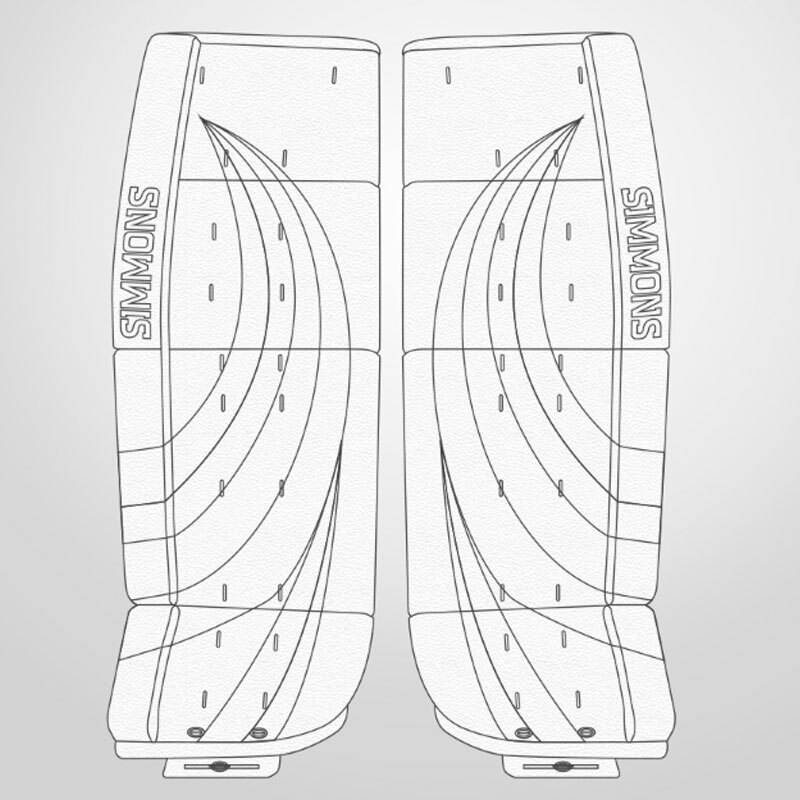 THE NEW SIMMONS 1000 CANADIAN PRO GOAL PAD- FEATURING A SOFTER REBOUND CONTROL FLAT FACE AND AN 80 DEGREE TAPERED TOE, EXCEPTIONAL LIGHTNESS AND MAXIMUM FLEXIBILITY. FEATURING THE REVOLUTIONARY NEW TRUE AIR LEG AND CALF LIFT SYSTEM. THE RFW WELDED AIR SYSTEM LIFTS AND SUPPORTS YOUR LEG IN CONJUNCTION WITH THE KNEE LIFT FOR MAXIMUM COMFORT AND SUPPORT. THE RFW AIR LIFT LEVELS YOUR LEG AND KNEE ALLEVIATING ALL JOINT STRESS ASSOCIATED WITH THE BUTTERFLY STYLE. YOUR PAD ROTATION IS QUICKER. THE 1000 IS DESIGNED FOR COVERAGE AND MOBILITY. 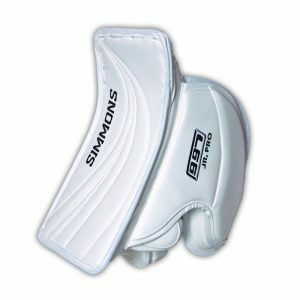 THE SUPER LIGHT HD FOAM CORE CONSTRUCTION IS COMBINED WITH A SOFTER LD FOAM FRONT THAT ABSORBS IMPACT AND CRADLES PUCKS FOR MAXIMUM REBOUND CONTROL. 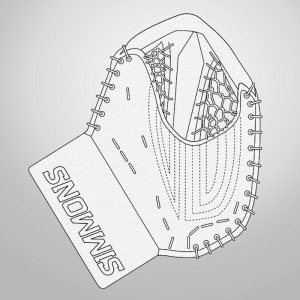 THE NEW SUPER 5 FLEX PROFILE FEATURES MULTIPLE SUPER FLEX BREAKS IN THE KNEE, BOOT, OUTER ROLL AND INTERNALLY. 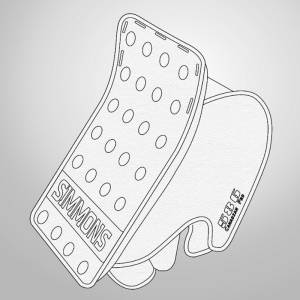 THE USE OF EXPENSIVE ALL LEATHER STRAPPING THROUGHOUT THE PAD IS STANDARD. THE 1000 WILL PLAY ANY STYLE, WHETHER IT’S DROP AND BLOCK IN THE PAINT OR SCRAMBLE WHATEVER IT TAKES. 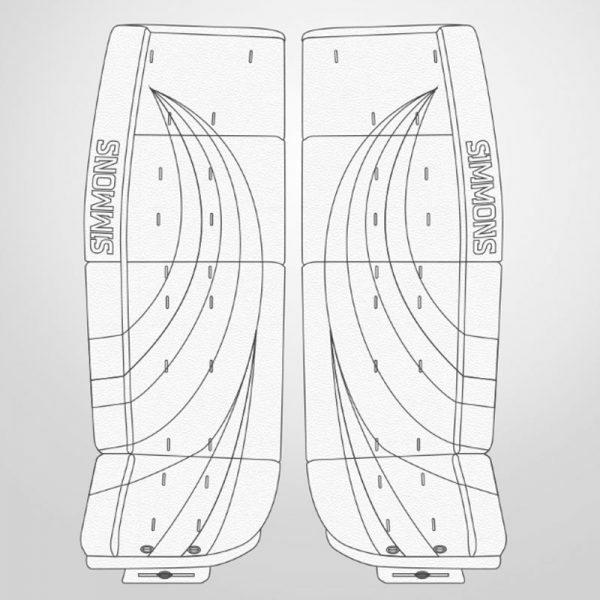 THE 80 DEGREE TAPERED TOE AND SLIDING TOE BRIDGE ALLOWS THE TENDER TO BE AS AGGRESSIVE AS THEY WANT WITH THERE ATTACK ANGLE. PAD ROTATION IS EXCEPTIONAL. 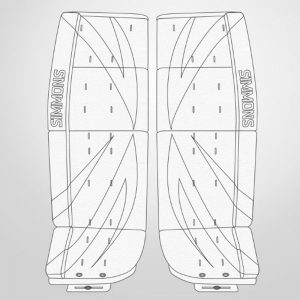 ONE PIECE KNEE AND THIGH PROTECTOR COMES AS A STANDARD FEATURE.